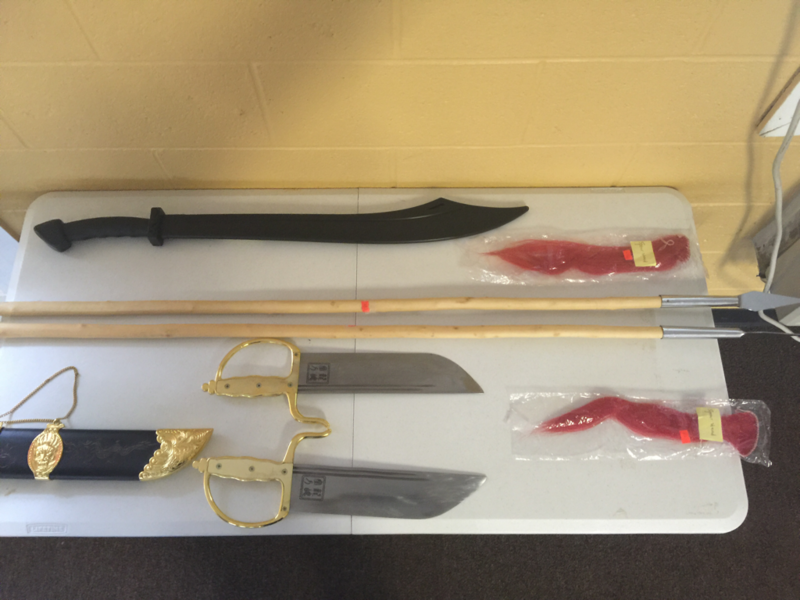 Shaolin Kung fu Institute Flemington offers instruction in several traditional Chinese weapons. At the basic levels, students train with the staff. Once they have attained a level of proficiency with the staff they work with the broadsword and then the spear. As they progress through their training, they train in Chinese longsword, double axes, butterfly knives, and many more weapons. 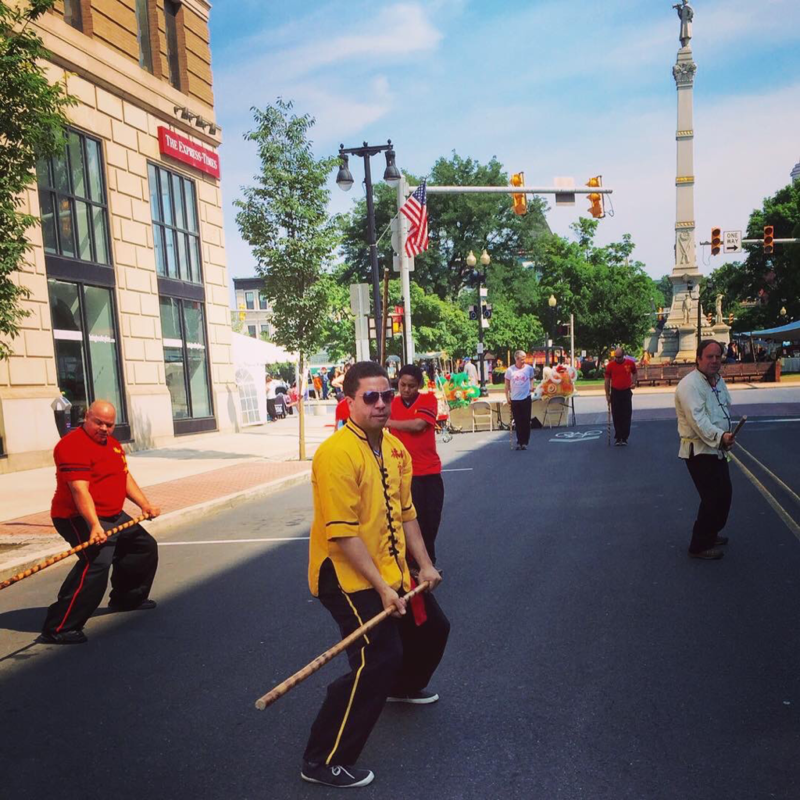 Shifu Mack leads an exhibition of a staff form at the 2015 Easton Heritage Day celebration.